It's generally accepted that making money in Diablo 3 is a time consuming and tiresome chore. This could not be further from the truth. 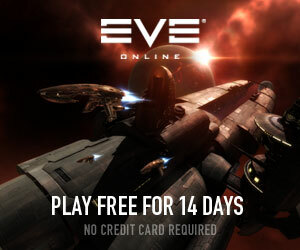 With literally 15 minutes per day you can bring in a sizeable amount of gold and yes even real money in Diablo 3. In this chapter I will explain how you can invest 15 minutes a day and still create a large amount of wealth for yourself. No crafting is involved and this is a great way for you to make money if you don't have a max level character yet. At the end of the chapter, I will include additional methods besides this main one that can be used if you have extra time but don't want to run around mindlessly farming the minions of hell. Alright, let's get started. You can use this strategy on either auction house, but I recommend the gold auction house for the best deals. Before I go into all the juicy details, let's discuss the purpose of this method and why it works. The goal here is to get you money, really easy and practically guaranteed gold. We're going to take advantage of players who don't know how to price their items properly as well as offer great deals to buyers. To do these two things, we're going to make use of max bidding. Step 1: Bid on the item(s) at or below 50% value. 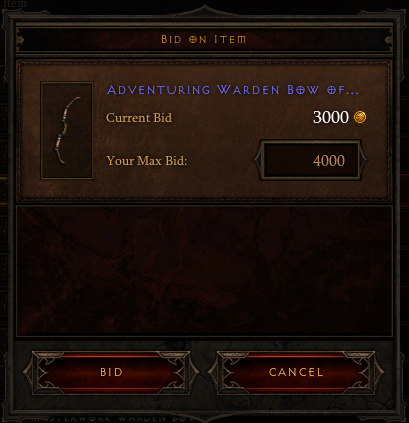 Set Max Bid to 50% of the item's value. Step 2: Take your auctions that you won and sell them at 75% and up of their normal value. Seems really easy right? Well it is almost as easy as it sounds. If you don't know what a max bid is, here's a quick explanation. A max bid means that you will continue to outbid anyone up to your max bid. So my initial bid on the warden bow is 3,000 gold, and if someone bids 3,500 then I'm going to outbid them automatically since that is lower than my max bid of 4,000. When you bid DOES matter. I would highly advise bidding on auctions that are well below 24 hours. Why tie up your money for long periods of time? The two most popular and sought after affixes are magic find and gold find. Coupled with a high primary stat (dexterity, strength, or intellect) creates a killer item. Open up the auction house and create a search query similar to this one below. You'll find a host of items, many of which will probably be extremely expensive. However, you should be able to find quite a few that have very low bids (in comparison to final price) and huge profit potential. You should aim for items with bids less than 50% of their buyout value and less than 8 hours remaining. Systematically create searches for each of the core stats + magic find/gold find. If more than 45 pages of items appear, then you need to reduce your search results as only 46 pages of auctions can appear at any one time. If this happens, simply choose an armor type, create level restrictions, or add values for gold/magic/primary stat. This should take no longer than 15 minutes, and before long you'll have quite a few bids on valuable items. If you are having trouble finding deals, try sorting by "Buy Out" in ascending order. This way you will see all "N/A" buyouts and other players cannot win the item unless they outbid you. A lack of a buyout option is a big no-no when you're selling because it signifigantly reduces the number of people willing to purchase the item. Nothing wrong with taking advantage of someone else's mistake in this case! If you'd like to remove "N/A" auctions, just type 9999999999 into the max buyout at the bottom of the criteria pane. 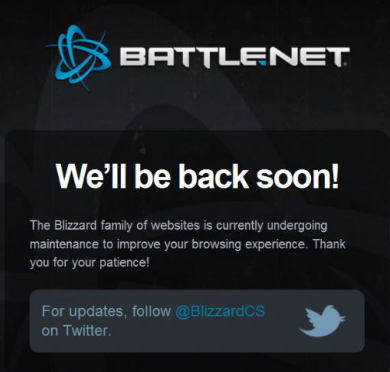 To win more bids, I highly suggest logging on just before the servers go down for maintenance. During this time period, auctions continue to "roll" so you can still win bids on auctions that end during the maintenance. Remember NOT to use all of your money bidding on items. Start off small and only use up 50% of your gold MAX. It's just not wise to invest all of your gold in items, even great deals. Why? Because you end up tieing up more gold that you bring in and constantly being broke, despite the fact that your shared stash is probably filled to the brim with awesome items. Now, let's discuss how to price your auctions. There are two strategies. You just got a great item for 50% or less value, hopefully much closer to 10%. You probably want to run to the auction house and sell it at 150% its normal value. No, no, no. The whole point of this strategy is to get your money back into your pocket so that you can invest in more items! Price to sell quickly as you are still making tremendous profit, even with ah fees. Write something like "Just found Item X and looking to level blacksmith. Please make an offer." Players are going to come at you with really low ball offers, but they have no idea how low you just got the item for! Whatever they offer, ask them to go up around 15%-30%. They will in most cases take the bait, believing that they just robbed you blind. This method of bidding low and selling for a deal is incredibly effective and easy to follow. Remember to keep a cool head though and not tie up too much of your money in bids and inventory. I try to keep 50% of my money as gold to avoid this issue. Besides this method, you can also try to get some easy money by going to Diablo 3's vendors. First, go to every vendor in a single act of the game. Next, look up the items they have for sale on D3DB.COM Each item will have a set number of magic properties. Click on the item and the affixes tab that appears further down the page. You will see the maximum range for these affixes. Take a screenshot of this page and save for each item. Next, keep reseting the game and checking the vendors until you find perfect versions of the items. Buy a few and then go to the auction house. Price your auction lower than the next guy, as long as the value is more than 15% above the vendor cost (have to take into account fees!). In most cases, you will be able to double your investment as a minimum. Well what do I bid on? Thought you'd never ask! Here are some examples of what you can bid on for the purpose of flipping. You can bid on socketed weapons/gear, then fill out the sockets to make money. A socket is the only way to get more of a stat than the item is capable of having normally. For example, you could take a ring with +150 vitality and an empty socket, then go add another 30 vitality to it. Anyone who searches for that ring with vitality as their primarily goal will see you showing up first. Same idea applies to weapons. You can take a weapon with relatively high dps and fill its socket with a red gem to boost the dps further. When people search for weapons by dps they will see yours towards the top thanks to your gem. While you are in game you can see the dps of the weapon after the gem is added, and you will be ranked with that stat on the auction house eventhough it displays the old number there. 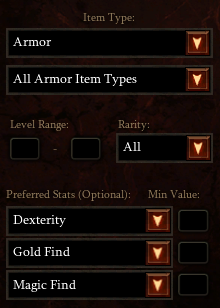 Searching for armor with very specific stat requirements, such as "+X Magic Find", "+X Intellect", "+X Vitality" will enable you to find the best gear at the best price. Just remember to search with specific criteria and try different combinations of stats and item categories. After level 50, weapons start scaling incredibly fast. This is because Hell difficulty is meant to be played from level 50 to 60, unlike the other difficulties which have around 25 levels for each of them. Look to bid on and sell weapons from 51 to 60 because that's when players are struggling the most and going to the auction house for weapon upgrades.